Part of PC’s week-long Martin Luther King Jr. Convocation event, this faculty discussion will be moderated by Dr. Mahri Leonard-Fleckman of the PC theology faculty. Scheduled faculty presenters include Dr. Comfort Ateh of the education faculty, Dr. Raymond Sickinger of the history faculty, Rev. Joseph Guido, O.P. of the psychology faculty, and Dr. Kendra Brewster of the public and community service studies faculty. An advocate for systemic electoral reform, Richie is frequently asked to comment on ranked-choice voting and other election-related issues. In a diverse society, the interests of the majority might not always converge with the common good, and the will of the majority might not represent that of the whole. How should we address these problems? 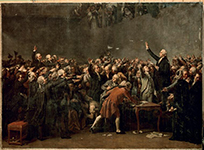 Is there another way to decide political decisions in a democracy than to have the majority rule? The Providence College Debate Society, Dr. Colin Guthrie King (philosophy), and Dr. Adam Myers (political science) will debate these questions in an open forum. There will be an opportunity for those in attendance to participate in the debate. Dr. Judson Brewer is a leader in the field of habit change and the “science of self-mastery,” combining 20 years of experience with mindfulness training and research. He has published extensively and given a TED Talk on those subjects, and is regularly featured as an expert in related news stories. To view Dr. Brewer’s talk, click here. Father Garrick Huang, F.S.S.P. is an acclaimed performer and music producer. He was co-music director and one of the singers on Requiem, a 2017 album by The Fraternity, an international community of 280 young priests with an average age of 35 described as “some of today’s most skilled and committed singers of Gregorian chant.” The album reached #1 on Billboard’s classical music chart last June. He is a priest of the Priestly Fraternity of St. Peter, a community devoted to the ancient form of the Church’s liturgy. To view Father Huang’s talk, click here. Dr. Janet Smith is a moral theologian who serves as a consultor to the Pontifical Council on the Family and also serves the Pontifical Council for Promoting Christian Unity as a member of the Anglican Roman Catholic International Commission III. She is the author of Humanae Vitae: A Generation Later and of The Right to Privacy and the editor of Why Humanae Vitae Was Right: A Reader. To view Dr. Smith’s talk, click here. How does the New Evangelization Fit with Catholic Higher Education? Dr. Scott Hahn, Fr. Michael Scanlan, T.O.R. Chair of Biblical Theology and the New Evangelization at Franciscan University of Steubenville, is a best-selling author and popular speaker who also is the founder and president of the Saint Paul Center for Biblical Theology. To view Dr. Hahn’s talk, click here. 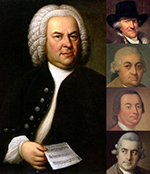 A performance and discussion of 18th century music by J. S. Bach and his sons C. P. E. Bach and J. C. Bach accompanied by Faculty Baroque (Kathryn Roth, Laura Gulley, Alice Robbins, and Catherine Gordon). To view this performance, click here. 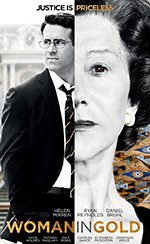 Dr. Deborah Johnson of the Department of Art & Art History will host a discussion following a screening of the 2015 film Woman in Gold, directed by Simon Curtis and starring Helen Mirren, Ryan Reynolds, and Daniel Bruhl. Based on a true story, the film describes the challenges and triumph of an elderly Jewish refugee living in the U.S. who mounted a legal battle to recover a long-since stolen painting of her aunt from the Austrian government. To view Dr. Johnson’s presentation, click here.